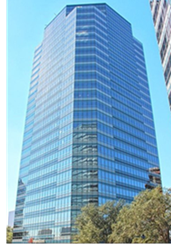 ​​​​​ HOUSTON – Stewart Title has leased 156,000 sf of office space for its headquarters at BHP Billiton in the Four Oaks Place complex located at 1360 Post Oak Blvd. The new Stewart headquarters space in at BHP Billiton spans eight floors. Houston’s supply of sublease space—which had expanded to more than 12 million sf since 2014— has declined to less than 10 million sf. ​Chec​k out more Houston Office Market Research.